Yorkshire’s biggest residential letting specialists have warned that new rules designed to protect millions of tenants and landlords from rogue agents do not go far enough. As part of the Enterprise Bill, the Government plans to make it mandatory for all agents to become members of an ombudsman scheme, giving their customers access to independent redress in the event of a complaint. 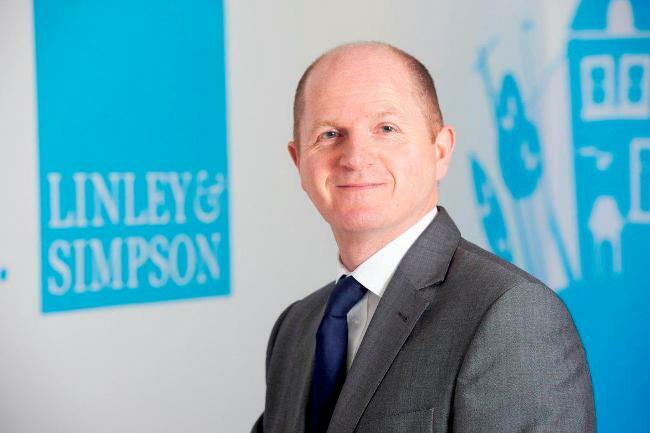 But Will Linley, Director of Linley & Simpson, which has a network of nine branches across West and North Yorkshire, said it fell short of the long-awaited compulsory regulation that would have brought the sector in line with its estate agency counterparts. While it is a step in the right direction, we are rueing the fact that it is also a missed opportunity. Tighter policing is needed as at the moment anyone can set up in business as a letting agent. It’s been a long-standing anomaly that letting agents, who routinely handle large sums of money, are not regulated in the same way as their estate agent counterparts who do not handle money at all. This bridges the gap – but fails to close it in the way many accredited agents like us had hoped. This plan does not go far enough in deterring some operators from providing unacceptable services and engaging in unlawful practices – behaviour which tarnishes the sector as a whole. Quite rightly, regulators have the power to close down estate agents for these kind of breaches – but this is still not the case for the rogue operators in the letting sector. Many reputable agents have voluntarily joined industry accreditation schemes, giving clients peace of mind that their money is safeguarded. But as many as 40 per cent of agents have not. Nobody books a holiday with a travel agent who is not properly accredited and registered – but, as ever-increasing numbers of tenants are finding to their cost, this isn’t always the case in the rental market where the stakes are far higher. He said the fact that the private rental sector was growing rapidly made the need for regulation even more pressing. There are now 3.84m households privately renting in England, compared with 1.9m in 2001 – and the figure is increasing. Research has shown that tenants and landlords who have fallen foul of rogue operators have mainly been left out of pocket by agents not passing on rent, unfairly handling deposits or failing to protect deposits. Following this week’s enactment of the Bill, the Government is planning to consult with industry and other bodies before it introduces the necessary secondary legislation. Linley & Simpson, founded 15 years ago, has branches in York, Harrogate, Ripon, Wetherby, Wakefield, Ilkley and three in Leeds – Roundhay, Horsforth and city centre.